This was drawn directly after the previous image of the Wench character. This was another Role-Playing Game character, but the player didn't use their own features since she really wanted to capture her own image of what a female gnome should look like (in the Dungeons & Dragons world anyway). 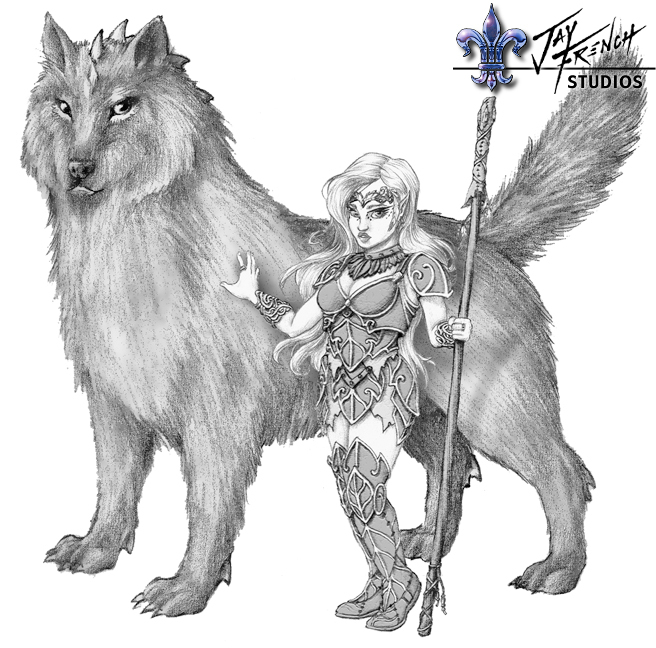 I actually drew the Dire Wolf behind her separately, which becomes a fun lesson in perspective since "Dire" animals are usually about twice the size of their "normal" counterparts, but Gnomes are much smaller than humans (this one was 3' 2")!